The global demand for energy is expected to increase 50% by 2030, requiring the production of remote oil and gas fields in deep water. To succeed in meeting this demand we must deepen our understanding of how high-value fluids travel under these extreme conditions. Flow assurance entails the management and avoidance, when possible, of solid particles or deposits in pipelines, which can result in environmental, operational, and safety hazards. 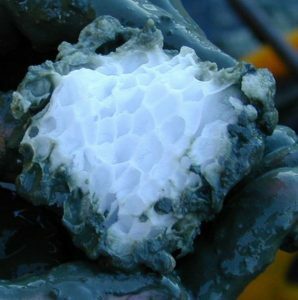 Gas hydrate is a chief flow assurance concern, as this ice-like solid forms through the contact of natural gas and water at high pressure. Hydrate blockages represent a global obstacle to the successful production of deep-water assets. How do we quantify the risk of a pipeline blockage in harsh environments? What operational and chemical strategies can we develop to minimise this risk? The laboratory operates with a blend of experimental and computational investigation. 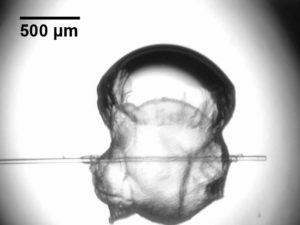 Microscopic facilities focus on probing interfacial phenomena, such as detecting initial hydrate growth and the energy bound between hydrate and oil phases; this information is used to capture fundamental information about how hydrate-containing systems are organised. The laboratory also deploys macroscopic experiments to study how hydrate plugs form and melt; these data are used to (i) test hypotheses from microscopic experiments and (ii) produce industrially relevant heuristics and models to address the above questions. The laboratory uses computational investigations to test the behavior and sensitivities of these models; this information in turn guides the design and execution of future experiments.